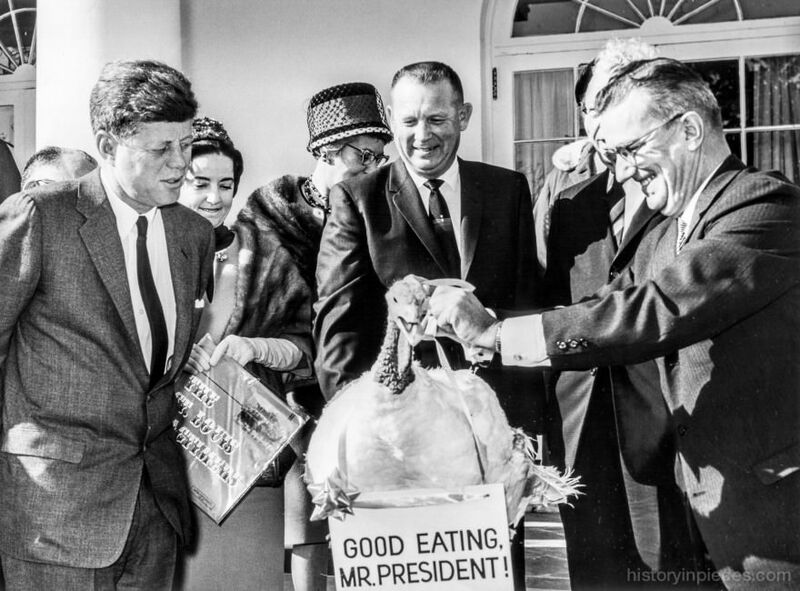 Thanksgiving 1963 came early at the White House, with President Kennedy ceremonially pardoning a Turkey at a ceremony in the Rose Garden on November 19, 1963. 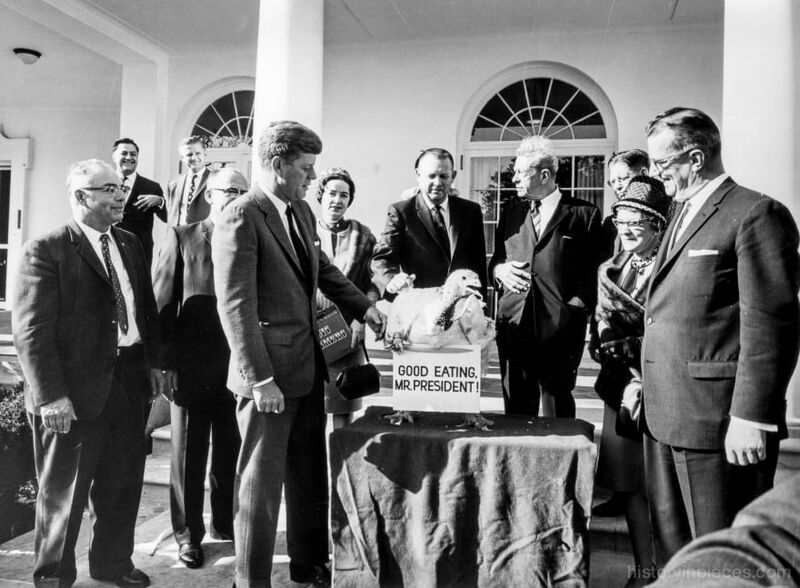 President Kennedy ceremonially pardons a turkey in the White House Rose Garden for Thanksgiving 1963. The White House event was held on 19 November 1963; Thanksgiving Day was 28 November. Photo by Abbie Rowe (National Park Service) / National Archives. 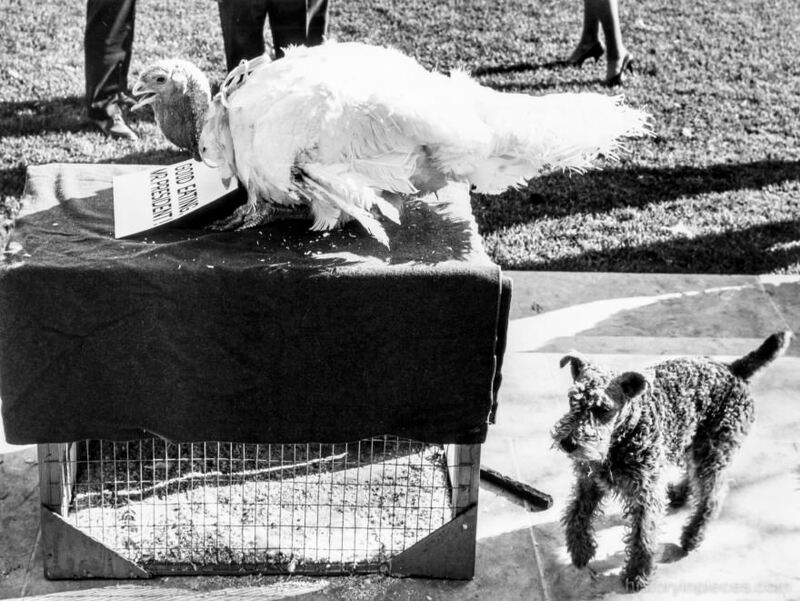 One of the Kennedys’ dogs, Shannon (Irish Water Spaniel) investigates the turkey ceremonially pardoned by President Kennedy on the South Lawn of the White House on 19 November 1963. Photo by Abbie Rowe (National Park Service) / National Archives. 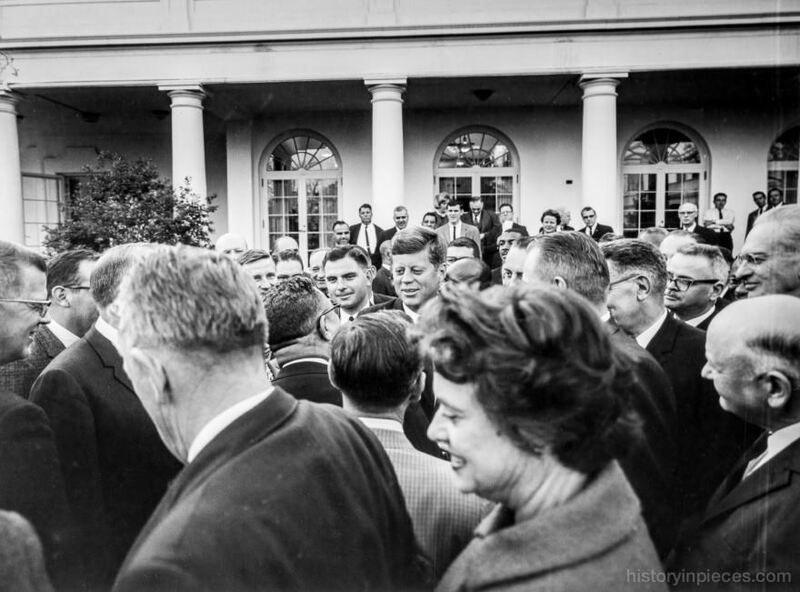 Thanksgiving 1963 event in the White House’s Rose Garden on 19 November 1963. Thanksgiving Day was 28 November. Photo by Abbie Rowe (National Park Service) / National Archives. The White House ceremony was not held on the actual date of Thanksgiving. 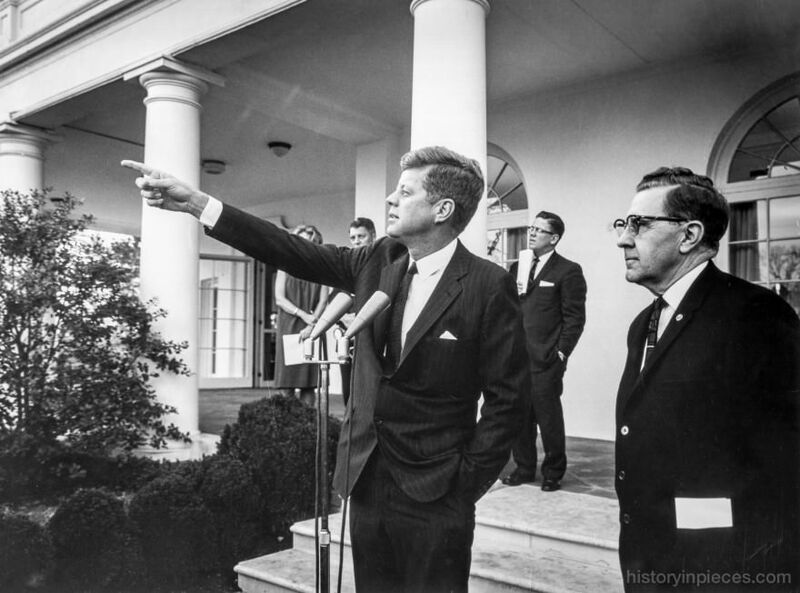 In 1963, that fell on November 28, six days after Kennedy’s assassination.